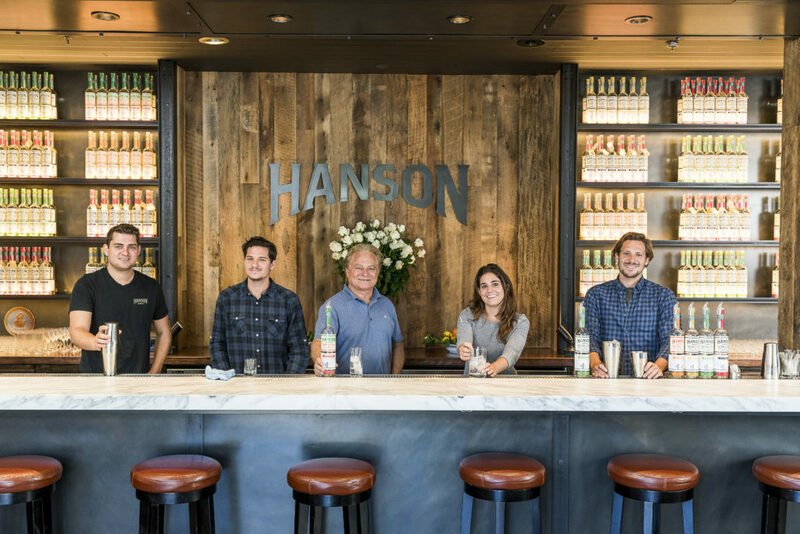 The Hanson of Sonoma Distillery based in California, are one of the first distilleries in the world to create a ‘vodka tasting room’ - pouring all of the brand’s flavoured vodkas, limited-releases infusions and editions. The family-owned and operated brand has been crafting its organic, non-GMO vodkas since 2014. The addition of the tasting room, with reclaimed wood paneling, steel shelving, a Calacatta marble bar top, and brushed copper accents, marks another big step in the brand’s history. Hanson’s award-winning infusions are available in refreshing cucumber, zingy ginger, floral mandarin, and piquant habanero, as well as the “plain OG”. On their blog the Hanson family said: “While sipping on vodka might feel just a little different than tasting wine (ok, maybe it’s way different), it’s a fun, unique, and educational experience thanks to four different tours and tastings. But if you’d prefer, you can take your vodka the usual way: Cocktails conceived by Krzysztof Pawlik, Hanson’s GM and a Thomas Keller Restaurant Group alum, are also on offer here. The classic dirty martini is so smooth, you won’t be sorry”. Hanson of Sonoma, 22985 Burndale Rd. (Sonoma) is open 11am to 5pm daily for tours and tastings. For more information visit: hansonofsonoma.com.